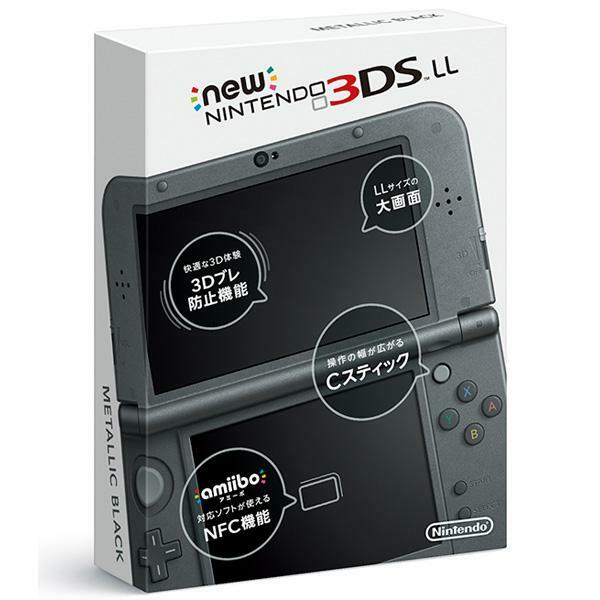 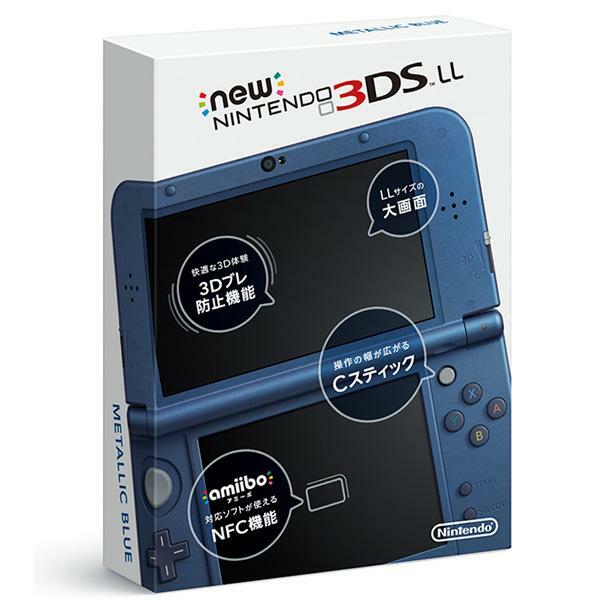 New shipments of the Metallic Black and Metallic Blue New 3DS LL are pending from Japan but should arrive this week. Due to a weekend shipment delay, please note that the new Nintendo 3DS shipment has been rescheduled by our courier to October 14-15, 2014. Thanks for your attention. 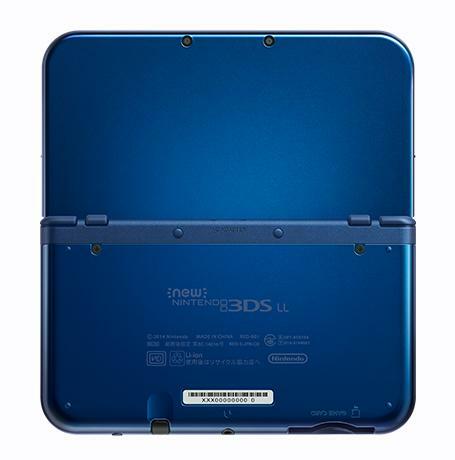 Reservations are welcome for the new version of the Nintendo 3DS LL which features a built-in analog stick, built-in NFC, improved battery life, gyro sensor, a pair of new trigger buttons, HTML5 browser, and a faster CPU. 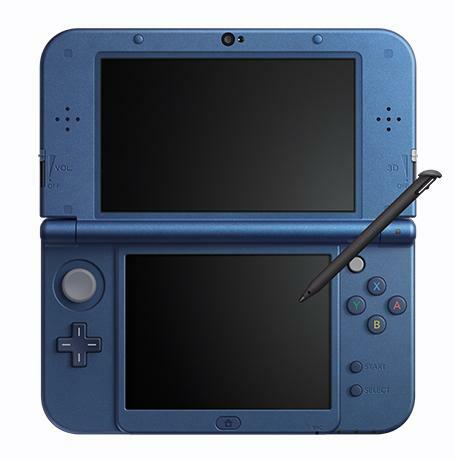 The inaugural colors for the new handheld are Metallic Black and Metallic Blue at US$239.90 with preorders expected to ship on October 13, 2014. 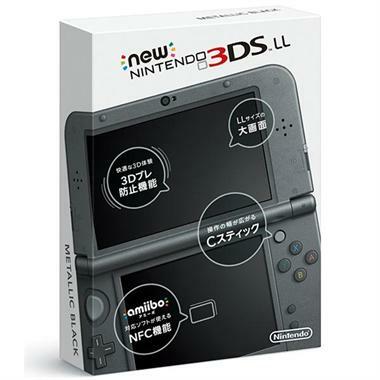 Reservations are welcome for the e-Capcom exclusive Monster Hunter 4G New 3DS LL which includes the new version of Nintendo's 3DS LL.